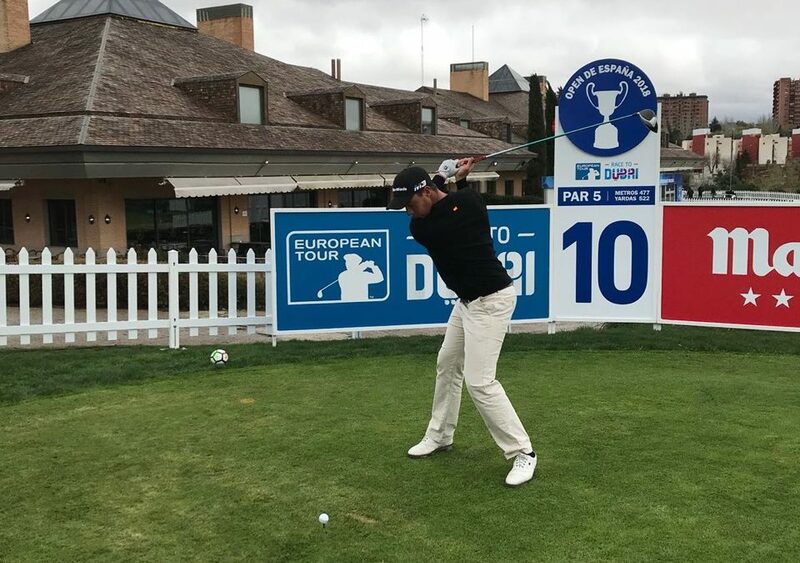 The Andalusian, captain of University Golf Program Malaga’s team, will participate in the 2018 Spanish Open taking place at Centro Nacional de Golf de Madrid. Víctor will face with “great enthusiasm” this opportunity in the highest category of the European Tour where he will meet an old fellow player, Jon Rahm. Both players met years ago during their time at the Blume in Madrid. Víctor remembers playing with Rahm “many times at the National Golf Center” when they were 16. After his time at Blume, both continued their formation in golf: Rahm left for Arizona State University and Pastor joined the University Golf Program Malaga. Víctor Pastor, actual European Champion by teams with the Spanish team and Spanish College Champion individual and by teams, will join the course next Thursday morning (10:15 hours) with Javier Sainz and Estanislao Goya. The UGPM player assures Jon Rahm as the favourite of the tournament because “a number four in the world is always a favourite”, but he also pointed out that “there are many good players, so anyone can get there”. Víctor, from UGPM we wish you the best of luck!